The shortage of qualified workers in rural Minnesota has many employers looking for unique ways to attract, train, and keep the right people in important positions. Many of these solutions include a large, up-front, monetary investment by the employer such as a signing bonus, paying for training, or even paying a salary during training. Employers of course want to secure a return on this investment; but also want to continue their practice of employment-at-will. Getting both at the same time can be a challenge. 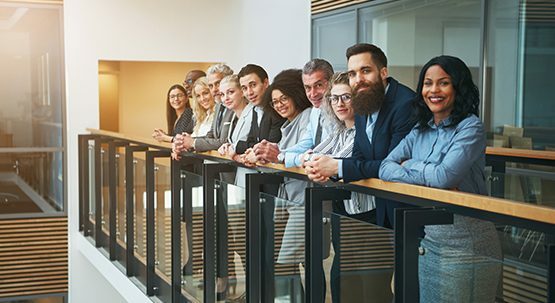 In short, most of these employers want to provide a financial benefit, but they want to be able to recoup that benefit if the employee doesn’t stay with the company for a given period of time. Minnesota Law, the Federal Fair Labor Standards Act, and the U.S. Department of Labor have made it nearly impossible to legally recover wages, salary, or bonuses paid to employees once they have vested. At the same time, both Federal and State statutes and regulations have approved the enforcement of bona fide loan agreements between employers and employees. So the key here is to structure these recoverable bonuses or education finance plans as a separate and distinct legal relationship from the employment relationship. So ABC Corp and John Doe can be both Employer/Employee and Lender/Debtor. Here’s a rough outline of how I’ve structured these relationships for employers recently. For a signing bonus, which might include a potential employee agreeing to join an employer in a year or more after finishing school, I would style the bonus as a loan which requires a cash repayment, but which can be satisfied by the employee working for the employer for a given length of time. Funding school is a little more complex, especially if the funding will include living expenses beyond tuition. Even if, in effect, the employer wants to “pay the employee a salary” while in school, the employer can’t recover this amount if it is a true salary. Instead, just like the money for tuition, make this amount a loan which the future employee can spend as she wishes. In any scenario, the loan agreement should make it clear that the loan is payable even if the potential employee never comes to work for the employer and that it doesn’t matter why the potential employee doesn’t work for the employer for the full repayment period (meaning that the loan is repayable if the employee doesn’t come to work, quits, is fired, or fails to complete schooling). There is another practical concern here. Students sometimes change their plans, fail to complete school, or select a different employer upon graduation. If you are going to enter into a relationship like this, you need to be willing to pursue repayment. You need to consider whether suing a recipient in court might do more damage to your reputation as an employer than the good you hoped to do with your original bonus program. Even if you are willing to sue, realize that a recent graduate, or recent dropout, might be hard to locate, and collecting on your judgment might be difficult. While recoupment of bonuses and education investments is possible, there are many pitfalls. Any such plan should be carefully reviewed by a competent attorney. A professional problem solver, Cory Genelin combines knowledge of the law with common sense and leadership experience. 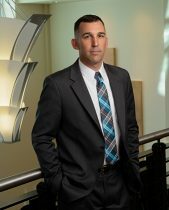 Cory’s practice includes civil litigation, employment law, banking law and business law.